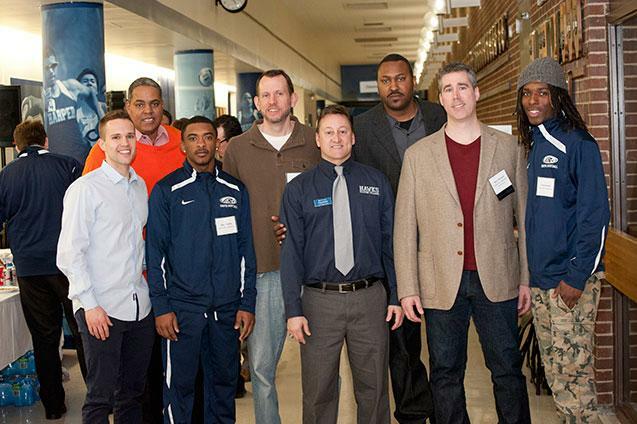 Harper College welcomed back former men’s basketball players and their families for a special Alumni Basketball Event on January 31, 2015. 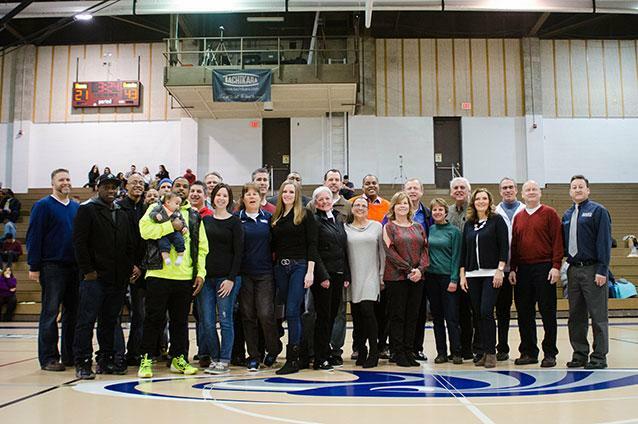 - Former men’s basketball players, members of the pompom team, and former coaches and basketball managers get together for an alumni photo with Doug Spiwak, Director of Athletics and Fitness, following a special half-time presentation. 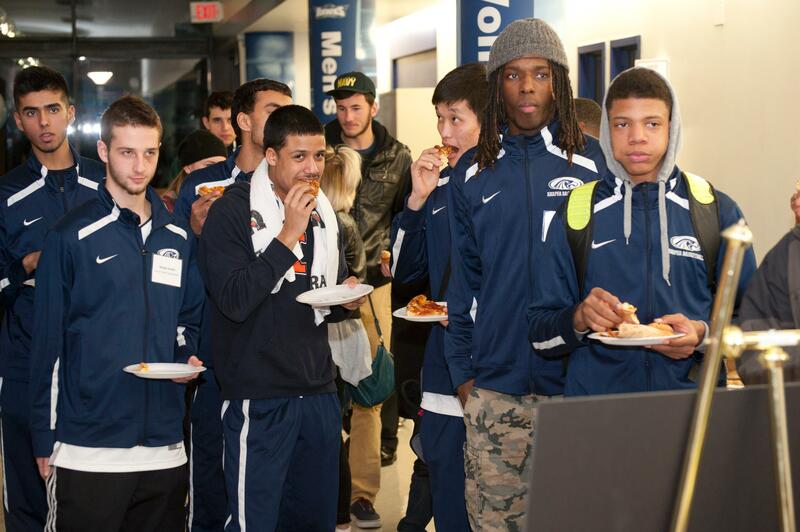 - The men’s basketball team grabs a bite during the reception. 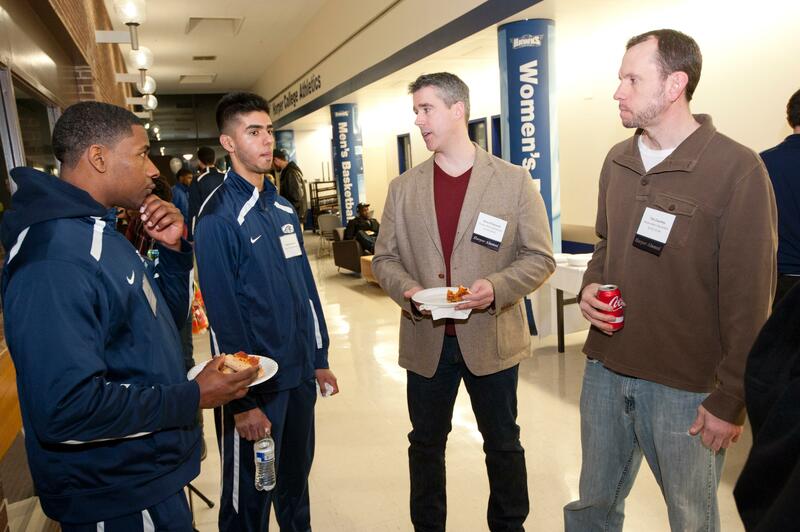 - Current student basketball players have an opportunity to talk with alumni players at the reception. 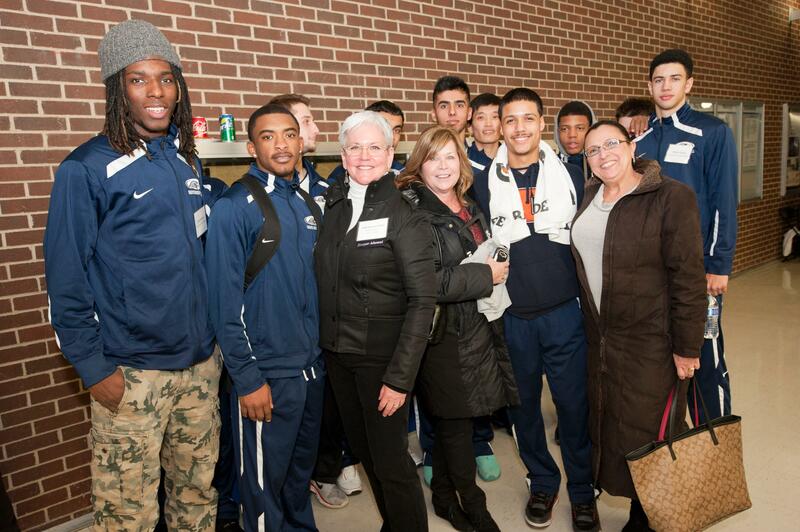 - Alumni guests with current student basketball players. 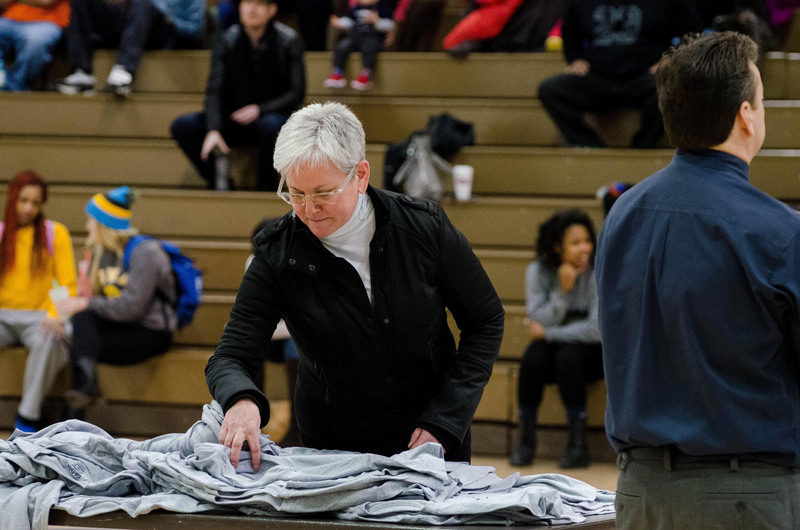 - Alumna Sally Kearns Caesar (poms team, 1974-1976) selects her complimentary Harper Alumni Basketball t-shirt. 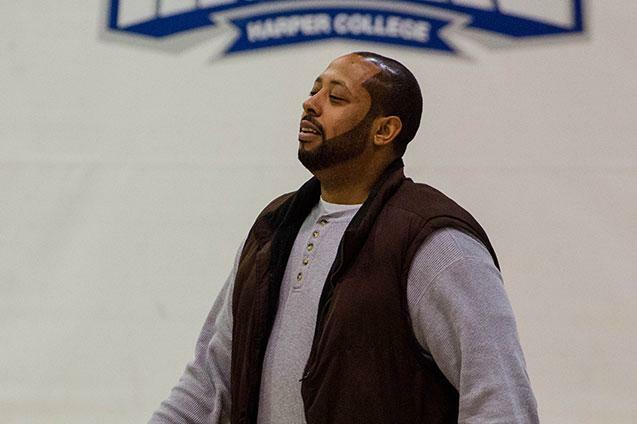 - Alumnus Isaac Holloway (men’s basketball, 1998-2000), is called up to be recognized during the half-time presentation. 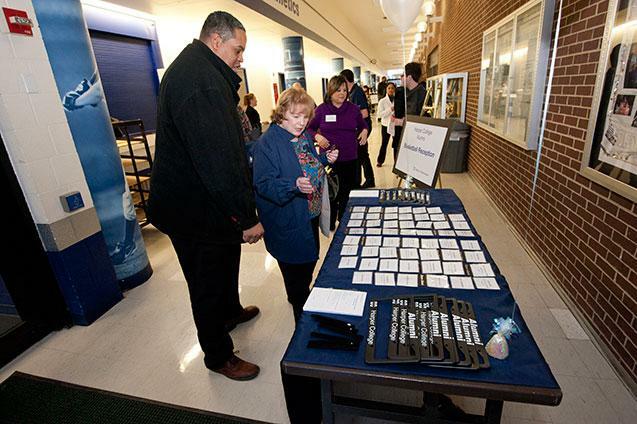 - Harper Distinguished Alumna Linda Lang assists guests at the alumni table. 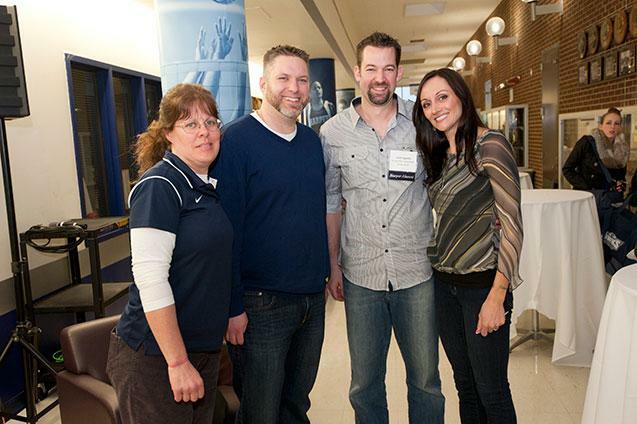 - Harper alumna and current athletic trainer Paige Erland visits with alumni guests. 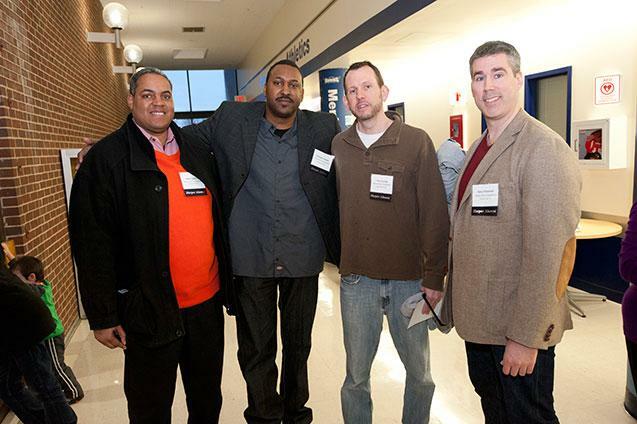 - Alumni men’s basketball players enjoy reconnecting at the event. Left to right – Ralph Gardner (1991-1993), Colombus Ingram (1992-1994), Tim Counley (1992-1994), Rory O’Donnell (1993-1995). 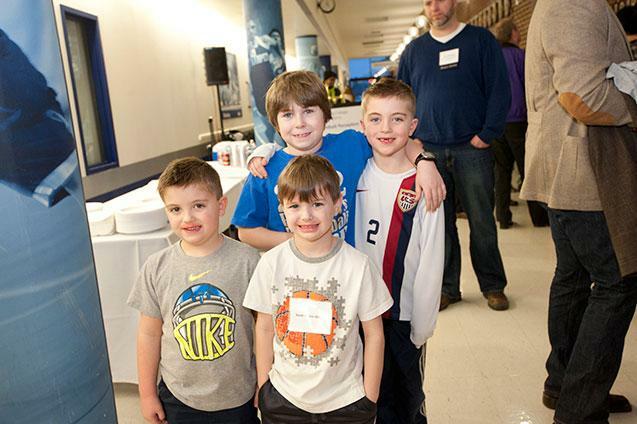 - Future Harper alumni enjoy the festivities! - Alumni with current basketball players and Doug Spiwak (front center). 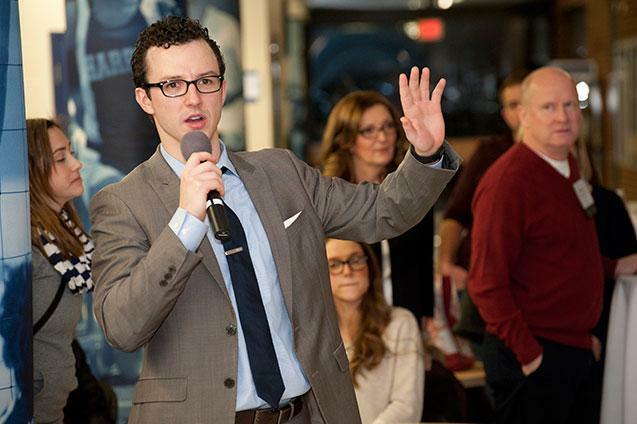 - Men’s Basketball Head Coach, Justin Welke, gives brief remarks during the reception. 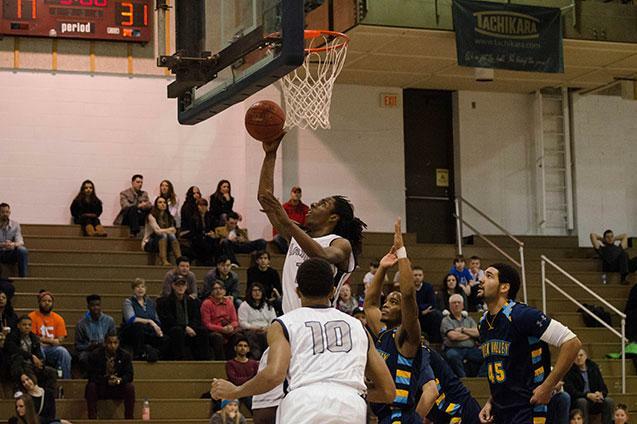 - Alumni guests watch the Harper Hawks take on Rock Valley College. 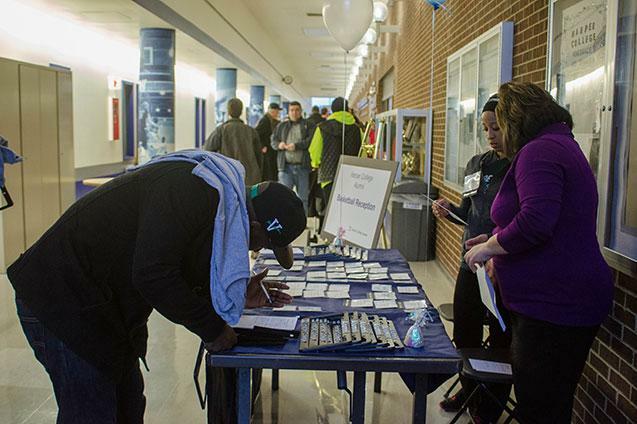 - Alumni check in at the alumni table, fill out contact cards and receive alumni gifts. 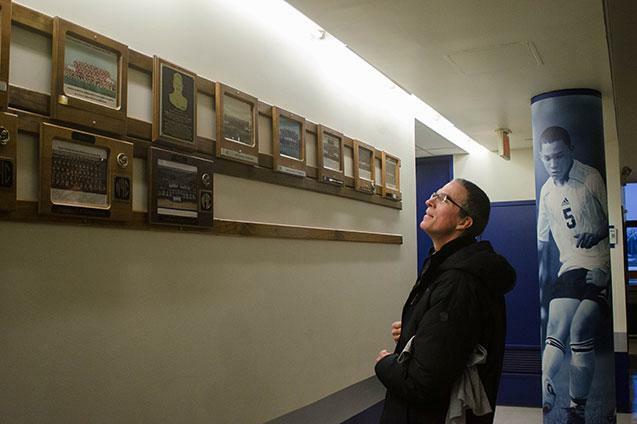 - Alumnus John O’Halloran (men’s basketball manager, 1976-1978) views championship photos. 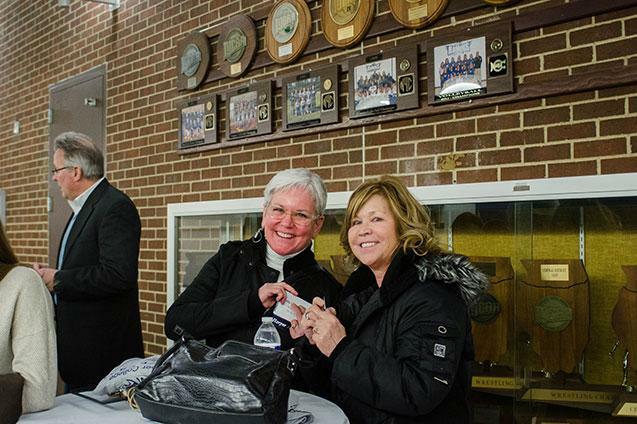 - Alumni guests enjoy reconnecting during the postgame reception.